#LHP2016 — Texas or bust. Nominate an exemplary person in dentistry today. Do you know a doctor, office manager, hygienist for dental professional who makes a difference mentoring others? Someone who shares talents to help those in need in your community or on a global scale? An early adopter of leading edge treatment or practice technology? Today, Benco Dental encourages people across the nation to celebrate a person in dentistry who they view as an inspiration in the areas mentioned above, among others. Nominations are now being accepted for The ‪Lucy Hobbs Project‬ Awards, Honoring Exemplary Women in the Dental Community. Benco Dental will host the 4th Annual ‪#‎LHP‬ Celebration in Dallas, Texas, on June 2 and 3, 2016. 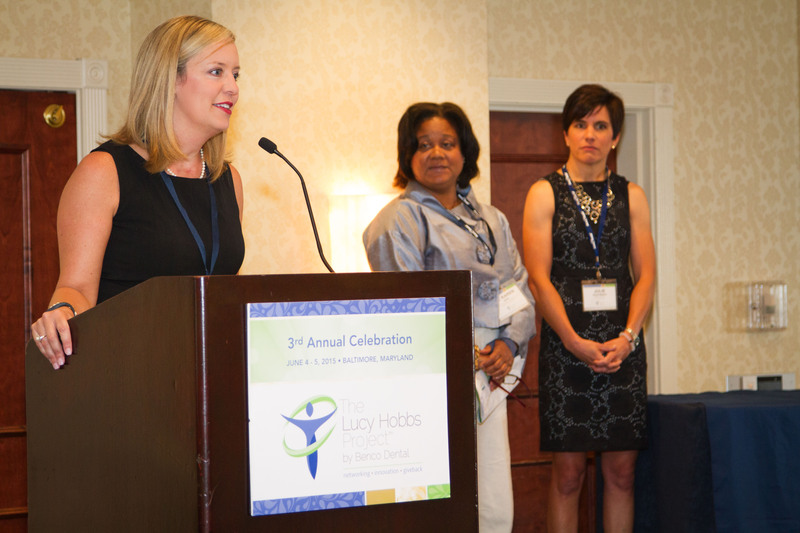 Dr. Lindsay Limbaugh accepts her 2015 Lucy Hobbs Project award during this year’s Celebration hosted in Baltimore. During the 2016, celebration, the project will honor women who are setting new benchmarks in the dental profession and beyond. What happens if your nominee is chosen as a winner? * The winner receives a complimentary invitation to the Annual Celebration, which includes hotel and airfare (if applicable). * There, she will be recognized in front of her peers as she receive the prestigious LHP Award and a personalized LHP Tiffany bracelet. Don’t wait until the last minute – get your nominations in NOW. All nominations are due by January 15, 2016. Hanging with a Ninja Dentist.